While New England is celebrating Saturday’s accomplishments by the defending Super Bowl Champions, the focus in the mid-west is on Andy Reid’s time management. While Reid added another example to his list of games where focus on the clock and timeouts can be questioned, few in the mid-west have yet to grasp the truth that the Patriots outplayed the Chiefs. A loss after winning eleven games in a row it is certainly a sharp jolt and difficult reality check for their loyal fans, but even with better clock management by KC in all likelihood the Pats still would have won the game.Here is a look at some of the reactions from Kansas City on the Chiefs loss to the Patriots. Mellinger Minutes are managed better than Chiefs’ clock, but can we stop pretending that’s why they lost? The Chiefs lost a playoff game, and so of course, the instinct is to find something to hang on, but this was not a 28-point lead or failing to force even one punt or missing field goals or choking in the final minutes. The Chiefs lost to a better team. They lost to a better quarterback and a better coach. They are in good company there. The Patriots played better than the Chiefs. Knile Davis lost a key fumble, the Chiefs’ defense failed to convert some turnover opportunities, and the Patriots’ game plan and blocking kept Tom Brady remarkably clean. Even without the injuries — and, it should be noted, the Patriots had a bunch of injuries, too — the Chiefs would’ve had to play at least an A-minus game to win. Instead, they played like a C-minus, maybe D-plus. The frustration is in the bigger picture. I mentioned this in the column, but this season was a great opportunity for teams like the Chiefs. There is no great contender in the AFC. The Broncos are working around a jagged quarterback situation, the Steelers’ defense is mediocre at best, and the Patriots have some obvious flaws. If the Chiefs don’t blow the first Broncos game, they would’ve been hosting that band-aid Steelers team at Arrowhead, with a healthy Maclin, and a better rested Justin Houston. That’s the chance the Chiefs blew, not the clock management. Next year, even if the Chiefs are better, it may not be like this. Was Andy Reid lulled into an improper game plan based on New England’s final game(s) of the season? The Patriots showed them how — by playing physical, precise, mistake-free free football. In a game where the Chiefs actually out-gained the Patriots (378-340), had superior third-down percentages (60 percent to 50 percent) and dominated the time-of-possession battle (37:51 to 22:09), it was the little things that made the difference. Like turnovers, of which the Chiefs had one and the Patriots had zero. And execution, as the Chiefs had some on-field breakdowns and clock management issues. And even injuries, as the Patriots’ injured stars — including Edelman and tight end Rob Gronkowski — outshined the Chiefs’. While Edelman and Gronkowski combined for 17 catches and 183 yards, Chiefs receiver Jeremy Maclin caught two passes for 23 yards while playing through a high-ankle sprain. But from the get-go Saturday, it was clear that the Patriots were not the same team that blew a chance at home-field advantage with a 20-10 loss to Miami in the regular-season finale. While they kept the ball on the ground in that game, running with marginal success, star quarterback Tom Brady came out slinging against the Chiefs, completing 28 of 42 passes for 302 yards and two touchdowns. “The last couple of games they had run the ball quite a little bit, and this one here, they came out and threw almost every down in the first half,” Chiefs coach Andy Reid said. While the focus of the week’s pre-game talk was injuries to the Patriots, apparently the end result was due in large part to injuries to the Chiefs. We talked before the Kansas City Chiefs playoff game in Foxboro that Bill Belichick and the New England Patriots would take something away from the Chiefs. Would it be the running game? Would it be an injured Jeremy Maclin? Or would it be the most obvious one: Travis Kelce. The Patriots put plenty of resources into stopping Kelce and they did a really good job of it. Kelce ended the game with six catches for just 23 yards (and it didn’t help that he dropped a critical third down pass that could’ve put the Chiefs in field goal territory). This forced the Chiefs to get others involved. Jason Avant was the Chiefs leading receiver. Albert Wilson was next. The first three plays of the game were passes to Demetrius Harris, Anthony Sherman and Frankie Hammond. The Patriots taking Kelce out was made easier with Jeremy Maclin’s injury. Maclin played 34 of the 89 offensive snaps. That is a TON of snaps. Defensively, what would the Patriots take away from the Chiefs? The pass rush. Like the offense with Maclin, injuries made this easier for New England. Justin Houston played eight snaps in the game. We didn’t know before the game that he would be so limited. Tom Brady got the ball out so fast that the Chiefs had no chance for a pass rush as the Patriots spread the ball out so well. That’s their bread and butter. Bottom line is that the Chiefs went up against the best coach and quarterback of our generation – at home – and lost. The better team won the game. Speaking of Kelce, the Kansas City tight end apparently made the mistake of poking the bear before the game began. Travis Kelce did a very Travis Kelce thing before the Kansas City Chiefs’ divisional playoff matchup against the New England Patriots on Saturday. The tight end approached Tom Brady during the quarterback’s usual walkout to Jay-Z. Kelce, of course, had “words” for Brady. Then there is the obligatory ‘thanks for the great season’ article, complete with the tired, lame, old, expected and not-so-subtle jabs at the Patriots. Do not go gentle into that good night. Rage! Rage against the dying of the light! Maybe you’re a Dylan Thomas fan. Maybe you’re a fan of Rodney Dangerfield in Back to School. Either way, despite losing to Satan’s afterbirth, and in complete contrast to everything I expect to express in these moments, I find myself at peace with the end. I know, I know. Brady had enough time and room in the pocket to Riverdance, read tweets about how he was born of a virgin and make reservations for dinner after the game. Gronk SMASHed. Alex was off just enough to rocket the ball over finger tips in crucial red zone moments. Knile turned the ball over on the drive where we most needed to land a face punch. We punched ourselves in the face with late game clock mismanagement. But somewhere in the void, in the disappointment, in the missed opportunity, in watching Goliath drop kick David in the huevos and then fly off with his mother and girlfriend to Hedonism II, I find myself feeling something deeper, resonant and undeniable: gratitude. On to the elephant walrus in the room. The Chiefs’ last scoring drive cut the final score to 27-20 in their loss to the New England Patriots in the AFC Divisional playoff game on Saturday. But it was the way the Chiefs acted on the drive that had people upset. Charcandrick West’s 1-yard run capped a 16-play, 80-yard yard drive that ate up 5 minutes and 16 seconds of the clock. The clock management was a topic across the nation. A large number of national-baseball writers joined in the chorus. And so, the Chiefs were more doomed than most teams. With Reid manning an astrolabe, the Chiefs embarked on a 17-play drive that took a staggering five minutes and 26 seconds, leaving them little to no chance of winning. The issues first started in the opening half, when the Chiefs were forced to burn two early timeouts in order to get the offense properly set. In fact, Reid used the first two timeouts on Kansas City’s opening drive—a drive that yielded a mere field goal. This created problems at the end of the first half, when the Chiefs had the ball inside Patriots territory at the two-minute warning. Kansas City moved from the New England 46 to the New England 11 in just three plays, but it was forced to take its final timeout there with 40 seconds remaining. Clock management was an even bigger issue late in the second half, when the Chiefs got the football with 6:29 remaining and facing a two-touchdown deficit. What happened at the 1-yard line was inexcusable. The Chiefs reached the New England 1-yard line on a 19-yard pass from Smith to Albert Wilson. Wilson didn’t get out of bounds or into the end zone, and the Chiefs ran just one play between Wilson’s reception and the two-minute warning. That play was a one-yard loss on a run by Charcandrick West. Just for fun, there are these pre-game previews that did not quite come to fruition. · The Chiefs defense will present a nightmare match-up for the Patriots offense. Kansas City’s ability to generate a consistent pass rush from their defense line without blitzing will be a huge key. Dontari Poe, Allen Bailey and Jaye Howard were beasts against the Texans and they will be more than a handful for New England’s porous offensive line. If the d-line can move Brady off his spot and hit him even when they don’t sack him, the rest of the defense will benefit. Also, Bob Sutton will then be free to bring extra pressure with some well-designed and disguised blitz packages at his discretion instead of being forced to generate a pass rush through exotic blitzes. The Chiefs defense is ranked seventh in the NFL this year and has been much better than that since the 1-6 start. Eric Berry, Derrick Johnson and Dontari Poe have gotten healthier as the season has progressed and the defensive performance has taken a major step forward. I think we can put a check next to the Chiefs for strong defense. Of course there are also many comments from KC fans calling for the suspension of Danny Amendola for his block on Jamell Fleming. I’ll write that off as expected knee-jerk reactions to a big hit, fueled by inaccurate commentary by inflammatory commentary from one of the television commentators. Dan Fouts was wrong on so many plays and so many opinions Saturday that it became noticeable to even very casual fans not rooting for the Patriots where I viewed the game. It is the second largest topic of conversation in Chiefs Nation behind Andy Reid’s clock mismanagement, but had zero effect on the outcome of the game. This team had all of the talent, even with the injuries, to make a push for the Super Bowl. When I watched this game, I didn’t come away thinking, “well only if we had Jeremy Maclin and Spencer Ware” or “only if we had Justin Houston.” Do we have a better shot at winning with those guys healthy? Absolutely. But what I ultimately saw out there against New England was 22 men who weren’t being put in positions to succeed. It came down to game planning, discipline and clock management; that is where we took the L. And those are areas where there is only so much room for improvement without changing who is in charge. So with that in mind, it is fair to wonder if the level of optimism surrounding this football team should be static. The biggest roadblocks in yesterday’s game were the same roadblocks that we faced versus Indianapolis two years ago, Reid and Sutton. These guys are only getting older and their methods are only becoming more predictable. I understand that they are likely the best options available for those two positions. But the real question we have to ask about this football team is, how much talent do we need in order to transcend the ineptitude that Andy Reid and Bob Sutton exhibit in big games against the elite head coaches and coordinators that this league has to offer? Because for all the talent Philadelphia had during those years in the Reid Era, they could never get it done in big games and it was for the very same reasons we haven’t been able to come out the victor in our playoff losses and many of our regular season losses against the better football teams in the league. This entry was posted in Patriots Commentary, Uncategorized and tagged 2015 NFL Post season, 2015 Patriots, 2015 Patriots Playoffs, AFC, AFC Divisional Playoffs, AFC West, Andy Reid, Kansas City Chiefs, New England Patriots, Patriots, Pats, playoffs on January 18, 2016 by John Morgan. The Patriots are heading back to the AFC Championship Game for the fifth year in a row due in no small part to the play of their big three on offense. Tom Brady, Julian Edelman and Rob Gronkowski all played huge roles in the Pats 27-20 win over the Kansas City Chiefs in the Divisional Round of the AFC playoffs. 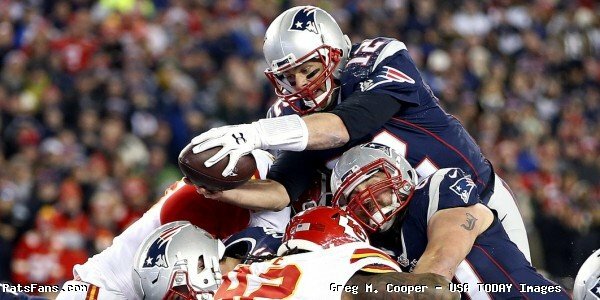 Tom Brady was back on top of his game on Saturday as he was able to stand and deliver the ball with authority. The return of Edelman gave him that short passing game that the Patriots have been able to use in lieu of a running game. Brady was sharp, completing 28 of 42 passes for 302 yards and two touchdowns on the day. His numbers would have been even better had not the Patriots suffered a case of the drops especially in the first half. But most importantly, Brady wasn’t sacked nor turned the ball over. The Patriots offensive line bolstered by the return of Sebastian Vollmer did a much better job of protecting Brady than they have in the last month, allowing zero sacks and pretty much giving him a clean pocket in which to work in. The Chiefs defense has been very opportunistic during their 11-game winning streak, with a plus 20 turnover differential. It was one of our keys to the game that the Patriots had to keep from turning the ball over in order to move on…and they did just that. Brady moved well in the pocket and felt the pressure when he had to was able to slide in the pocket while keeping his focus downfield. He even took off on a scramble down to the one-yard line where he appeared to score. But took it over himself from the one-yard line to put the Patriots up 14-3. That drive covered 98 yards in 11 plays and was a huge boost in momentum. Edelman Gronkowski Step Up: Leading into the game, a lot of the talk centered around the return of Julian Edelman and if he’d be able to present the same level of production as well as cut and plant with his foot as we’ve been accustomed to. Also, rumors swirled around Rob Gronkowski as to his health with knee and back issues and he was listed as questionable as well as Edelman coming into the game. In our Players to Watch pre-game piece, we answered those questions, Gronkowski was in Florida during the bye week relaxing and not at the facility getting treatment and as for Edelman and the “rust” factor, look at the Pittsburgh game in Week 1 after Edelman sat out the entire preseason. He caught 11 passes for 97 yards in that one. Edelman looked to be the exact player he was when he went down in the Patriots ninth game of the season. He caught 10 passes for 100 yards and was the most dynamic player on the field on Saturday. He was involved from the first snap and was instrumental in setting the tone from the outset as the Patriots took the opening kickoff and marched 80 yards in 12 plays to go up 7-0. Gronkowski didn’t look like a guy who was suffering from knee and back woes and was his normal nightmarish self when it came to matchups. With Edelman and Amendola back in the lineup and healthy, the Patriots went 3-4 wide receivers often, spreading out the KC defense which frequently left Gronkowski in one-on-one matchups. The big man caught seven passes for 83 yards and two huge touchdowns on the day. His second was a beautiful fake that he and Brady worked to perfection. At the snap Edelman ran a cross and Brady glanced that way, pulling the interior defense with him leaving Gronk alone with safety Eric Berry. Brady executed a great pump fake and Gronkowski stopped as if on a comeback route. Berry bit hard, charging up to challenge and Gronkowski rolled around him to catch Brady’s pass for a 16-yard touchdown to make the score 21-6. Of Brady’s 42 passes on the day, 24 of them (57%), were targeted to Edelman and Gronkowski…think #12 was happy to see them back in action? Jones Makes Key Play Then Leaves Via Injury: With all of the hoopla surrounding Chandler Jones this week, there were questions surrounding him as well and many thought he may lose playing time as a result. Well that didn’t happen as Bill Belichick, sent Jones out with the normal starting unit of the Patriots defense and Jones had two impact plays. He logged the only sack of the game for either team when he took down Alex Smith who proved to be very elusive all game long. But the big play was a key turning point of the game. The Chiefs took the second half kickoff and were driving; down 14-6, a field goal or a touchdown puts the Chiefs right back in the game. Knile Davis appeared to pick-up a first down at the Patriots 31-yard line but in bringing him down, Jones stripped him of the ball. The Patriots recovered and went on a 69-yard drive to go up 21-6 in another big shift in momentum. It was a huge play not only for the Patriots but for Jones as well as quickly made fans forget about his troubles earlier in the week. He later suffered a knee injury and didn’t return. But the good sign was he remained on the bench for the remainder of the game and his status will have to be monitored during the week. Defense Steps Up in RZ, Back on 3rd Down: It was a mixed bag for the Patriots defense on Saturday. On one hand, they held Alex Smith to just a 58 percent completion percentage as he went 29 for 50 for 246 yards. His 4.9 yards per pass play was very good as well. They also were very good in the Red Zone, holding the Chiefs to a pair of field goals and really only one meaningful touchdown. The second score was a long-drawn out drive where the Chiefs used horrible clock management (Andy Reid specialty). When they finally did score, the game was essentially over and forced them into trying an on-sides kick with just over a minute to go. But the defense really struggled on third down all game long, credit Smith with making plays with his feet and being able to extend them and find receivers or scramble to keep the chains moving. KC was 12 of 20 on third down, at one point in the fourth quarter being 10 of 15. Those kind of numbers won’t cut it next week, and Bill Belichick stated in his post-game comments that the team, just couldn’t get the off the field on third down. Welcome to the Milk Carton Mr. Kelce: Coming into this game, the Patriots knew that KC wide receiver Jeremy Maclin was either going to be either very limited or out. So they decided to put their main focus on taking Chiefs tight end Travis Kelce out of the equation, and did a fantastic job of doing just that. Kelce aka “Baby Gronk” had torched the Texans the week before with eight catches for 128 yards but no one is better than Bill Belichick at taking away what you like to do best. While all teams do that, what makes Belichick’s method so effective is the manner in which they do that. They rolled different looks of linebackers and safeties on Kelce mixing it up but the onus of their coverage fell on Pat Chung. Chung did an outstanding job of shadowing Kelce, with help all over the field. Sans Maclin, the Patriots were trying to force Smith and the Chiefs to beat them with Albert Wilson and Chris Conley. Kelce was invisible for the vast majority of the game and he finished with six catches for just 23 yards….Mission accomplished. Injuries Rear Up…Again: With an injury list too long coming into the game, the last thing the Patriots needed was to lose any more players during the game, but that is exactly what happened. We mentioned earlier that Jones went down with a knee injury and didn’t return. Jamie Collins left in the third quarter with a back injury and was out for the remainder of the contest and Jerod Mayo also went down with a shoulder injury. He went to the locker room and didn’t return. Bryan Stork left briefly during the first half with an ankle injury, but after having it re-taped, he returned to the field and played the rest of the game. 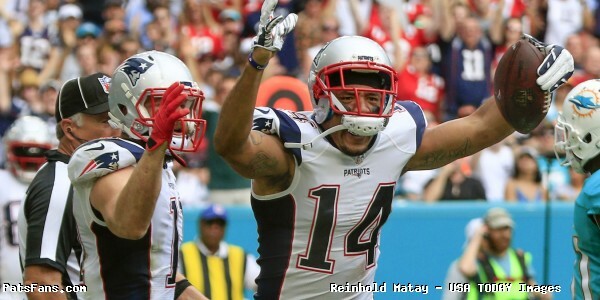 This entry was posted in Patriots Commentary, Patriots News and tagged 2015 NFL Post season, 2015 NFL Season, 2015 Patriots, AFC Divisional Playoffs, albert wilson, Alex Smith, Andy Reid, Bill Belichick, Brandon LaFell, Chandler Jones, Chris Conley, Danny Amendola, Foxboro Stadium, Jabaal Sheard, Jeremy Maclin, Julian Edelman, Kansas City Chiefs, New England Patriots, NFL, Patriots, Patriots edge rushers, Rob Gronkowski, Rob Ninkovich, Tom Brady, Travis Kelce on January 17, 2016 by Steve Balestrieri. The Patriots take on the Kansas City Chiefs in the Divisional Round of the 2015 NFL Playoffs at Foxboro today at 4:30 p.m. The winner will move on the AFC Championship Game next week; the loser goes home. There’s no more playing it safe with injuries and guys banged up. It’s all hands on deck and if you can get out there and contribute, you’re playing. The Patriots injury list is as long as it has ever been after coming OFF of a bye week and there are still plenty of questions to be answered on who plays and who doesn’t. The injury list from Friday contains 12 questionable players include Julian Edelman, Rob Gronkowski, Sebastian Vollmer, Dont’a Hightower, Chandler Jones, Rob Ninkovich, Danny Amendola, Jonathan Freeny, Nate Ebner, Scott Chandler, La Adrian Waddle and Justin Coleman. The Chiefs come in with injury concerns of their own with Justin Houston, Tamba Hali, Jeremy Maclin, Spencer Ware and Albert Wilson listed as questionable. KC has run off 11 straight wins heading into this week in stark contrast to the Patriots having lost their last two and four of their last six. Matchups are always a prime concern regardless of the opponent and this week’s will ultimately decide whether the Patriots move on next week. And all of our Patriots players are on the questionable list. Which is telling in itself. Here are our three players to watch from a Patriots perspective this week. Julian Edelman: The Patriots and Tom Brady’s most trusted wide receiver hasn’t played since early in Week 9 against the Giants when he suffered a broken bone in his foot. Not surprisingly with Edelman in the lineup, the Patriots were 9-0; without him they were 3-4 and their third down conversions went from 50 percent to around 33 down the stretch. 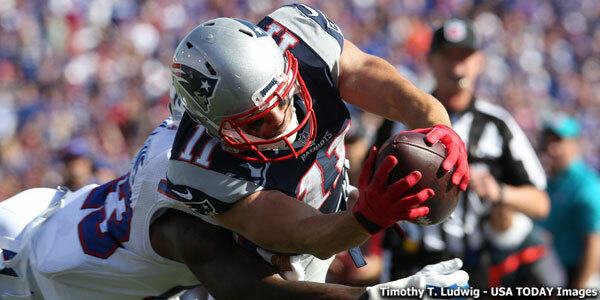 He and a healthy Amendola keeps the Patriots short passing game going and the chains moving. Edelman is particularly effective at getting open at the line of scrimmage and allowing Brady to get the ball out quickly which helps an offensive line that is battered, bruised and has been leaky down the stretch. Edelman is going against a secondary that is very good but tends to give a cushion and then breaks on the ball. That would not be a recipe for success against he and Brady. How effective he is today will go a long way in deciding this one. 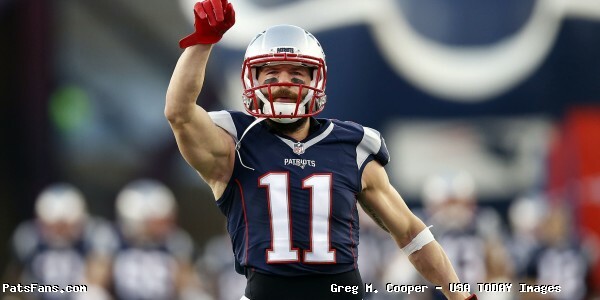 No one is tougher than Edelman. He’s battle tested, his Super Bowl heroics in the 4th quarter were instrumental in getting New England, ring #4. As to his being rusty? Some food for thought. Edelman didn’t play at all in the preseason and was off from the SB until the opener against Pittsburgh. His totals against the Steelers in Week 1? Very Edelman-like numbers with 11 catches for 97 yards. Anything resembling that today is a great sign for New England. Dont’a Hightower/Jamie Collins: The Patriots linebackers haven’t been on the field much together down the stretch but they really need them today. Hightower is a beast inside in the running game and when he’s healthy, he flies up in the gaps and stuffs runners at or behind the line of scrimmage. Kansas City has a potent running game with Charcandrick West, Spencer Ware and QB Alex Smith. They operate nearly a 50/50 balance in offense between running and passing and average 127.8 yards per game on the ground. They need the running game effective to make their own short passing game effective. If Hightower is close to his normal self, he’ll be a big factor in filling in those gaps. A look at the rush defense when he isn’t in there shows that teams have been able to run at the front seven, particularly between the tackles and if KC does that today they’ll be in good shape for an upset. Collins will probably be tasked with spying on Smith today. He’s adept at making big plays with his feet and bust a long run from the pocket or roll out and hit one of his receivers on the fly. Collins is the Pats most athletic linebacker and with Maclin either out or limited, Smith will be forced to take on a bigger role with the offense. How effective he is will depend on the day Collins has trying to keep him contained. Rob Gronkowski: What a week it was in Foxboro; between the on-going saga of Chandler Jones and the black eye of Belichick and the possible return of Edelman, the Patriots couldn’t afford any more distractions right? Well Gronkowski missed the last two practices with what was listed as “knee/back” issues. Adam Schefter of ESPN reported he went to the hospital for injections in his knee while Ian Rapopport of NFL Network said that it wasn’t the case. Jeff Howe reported on Friday that “if” Gronk plays he’ll be far less than 100 percent. We’ll see, the Patriots need Gronkowski threatening the middle of the field and stretching the seams, something they haven’t been able to do in recent weeks. That opens up some real estate underneath for guys like Edelman, Amendola and LaFell to operate in with Brady. The feeling here is not only will Gronk play but play well. Normally when a player is hurt the team keeps them around the facility for treatment. Gronkowski was spotted last week in Florida relaxing poolside which unless he reinjured it this week, tells me that his knee isn’t as bad as some are making it out to be. We’ll know for sure at 4:30 p.m.
Stay tuned to PatsFans.com as we’ll have the latest on breaking news for the Patriots as well as a complete breakdown of the game from Saturday. 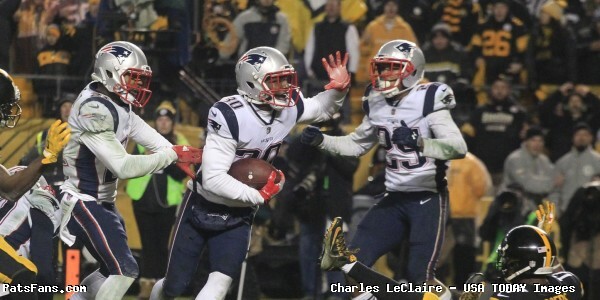 This entry was posted in Patriots Commentary, Patriots News and tagged 2015 NFL Post season, 2015 NFL Season, 2015 Patriots, AFC Divisional Playoffs, Alex Smith, Bill Belichick, Brandon LaFell, Danny Amendola, Dont'a Hightower, Foxboro Stadium, Jabaal Sheard, Jamie Collins, Jeremy Maclin, Julian Edelman, Justin Houston, Kansas City Chiefs, Malcolm Butler, New England Patriots, NFL, Patriots, Rob Gronkowski, Rob Ninkovich, Tamba Hali, Tom Brady, Travis Kelce on January 16, 2016 by Steve Balestrieri.